I watched the hourly weather the night before, and the forecast was rain all the way through 1:00 p.m., then sunshine and only a 10% chance of precipitation. Would the book signing, we had scheduled from 2:00 to 3:00 last Friday, be soggy or bright? The day turned out to be one of those absolutely glorious gems, cool but sunny, no longer summer, but not quite fall either. A perfect day, and well deserved after last year's "Liquid Sunshine." The planned book signing of Real Estate the Rome Way was scheduled for an hour at 2:00. That hour turned into four, did not leave until after 6:00PM.. just too much going on. 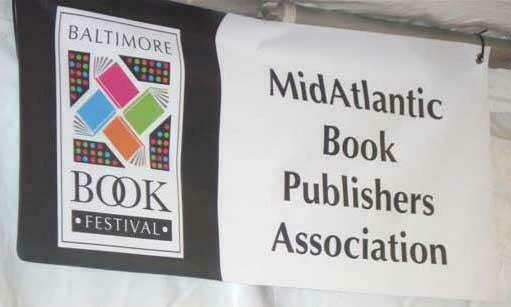 The MidAtlantic Book Publishers Association booth was at the hub of the festival, near the Washington Monument, right in front of the Mt. 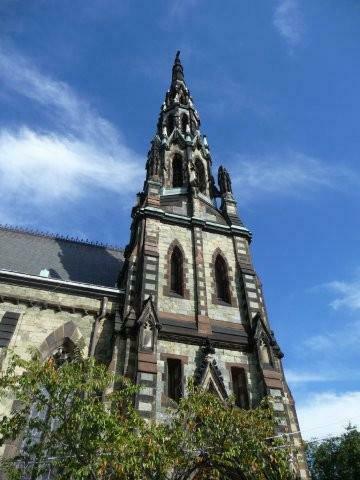 Vernon Place United Methodist Church with its gingerbread spires. We heard the sounds of bands from the nearby stage, saw colorful people, pets, neighbors and friends. 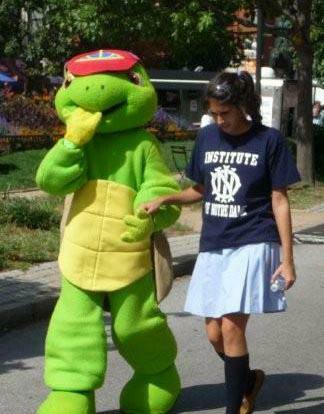 Students from the Institute of Notre Dame strolled the festival escorting characters from children's books like the hippos George and Martha, and Frogger. Right across the way was the LiveBaltimore booth (last year they were easy to find with their bright yellow umbrellas.) The people-watching was excellent! My publisher and friend, Peg Silloway,was there to volunteer with me, and we had a great time talking with the MBPA President, Sheila Ruth. Last year, Sheila's husband Nick – author of The Remin Chronicles series – and her son, David, where with us, and we missed seeing them this time. 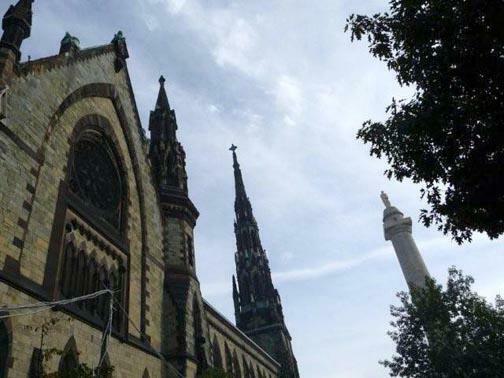 There was so much to see, but I was not able to take my eyes off the church that stood behind our booth.The plaque commemorates the Charles Howard mansion that stood here before the church; it was in that home that Frances Scott Key died. A news helicopter kept circling overhead and I tried so hard to get a shot of the helicopter over the church and in between the Washington Monument column. 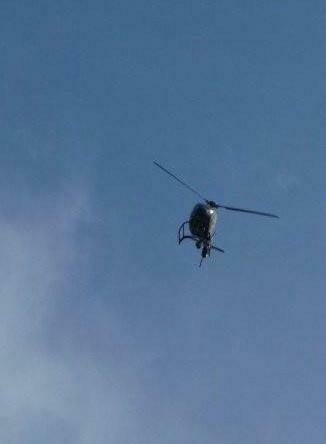 It was tough holding the camera in the moving crowd -so eventually gave in and just took the chopper! 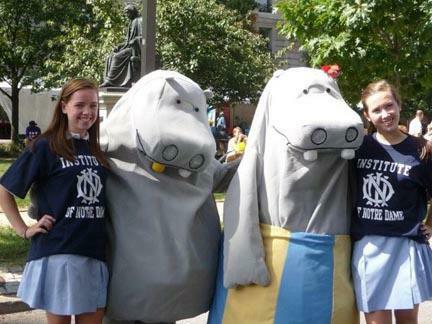 Camaraderie, new friends, great weather, book characters, and magnificent architecture all around. A perfect day of books and blue sky in Baltimore. 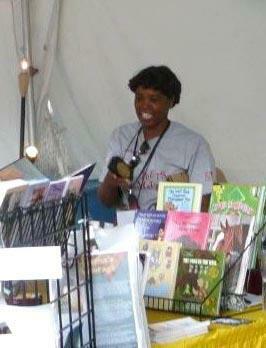 The Baltimore Book Festival - a Signing! A year ago, I went to the very soggy Baltimore Book Festival and had a great time even though the liquid sunshine was intense. Back then, I was a soon-to-be published author. 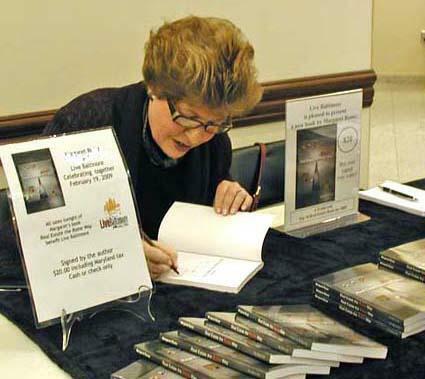 This year, I have a book and a book signing slot! This Friday through Sunday (September 25-27) at Mt. 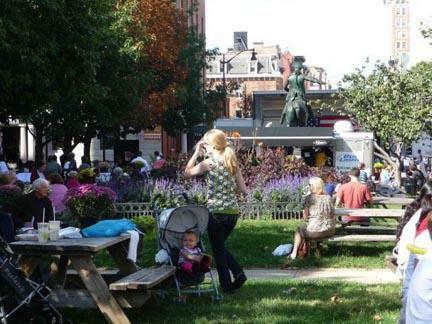 Vernon Place, the 14th annual Baltimore Book Festival will spread out from the 600 block of North Charles Street with books, authors, food, performances, and fun. 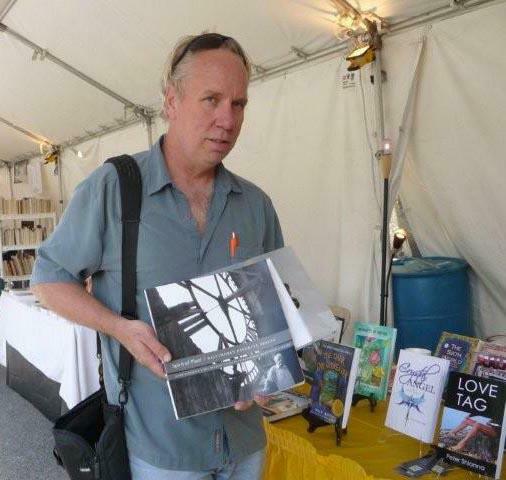 Again this year I'll be volunteering with my publisher, Peg Silloway of The Silloway Press, at the MidAtlantic Book Publishers Association booth. And, on Friday afternoon at 2:00, I'll be meeting visitors and signing my book! Last year as we sloshed around in the rain, Peg and I said, "Next year we'll be here with a Margaret Rome book." It was a big goal, and we've had adventures along the way, but we did it! Thanks to friends and supporters, the book is a success. 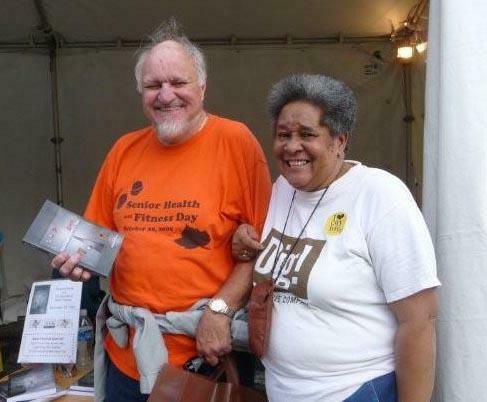 This year, we'll be checking out booth locations for next year's festival. By then, Peg will have her Cat Lover's Book of Days along with the second in the Book of Days series available. This year's list of authors at the festival is long and as varied as astronaut Buzz Aldrin, mystery writer Donna Andrews, and political commentator Gwen Ifill. There are readings, panel discussions, and great weather forecast. 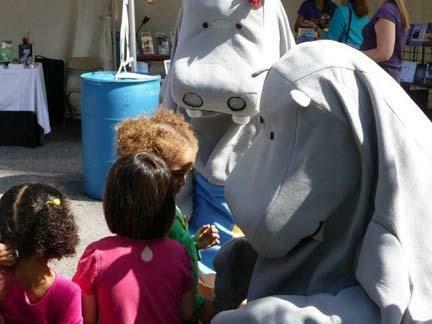 So if you are near Baltimore and want a fun afternoon, come to the Baltimore Book Festival this weekend. Please stop by and say "Hi!" on Friday between 2:00 and 3:00! Several mornings a week I go to Lifebridge Health Center and workout-at-the-gym . This is where my trainer, John Vargo, helps me focus on Physical Training. 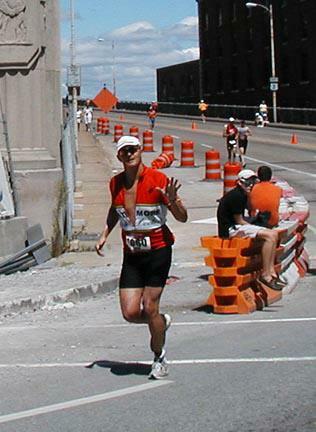 John's clearly a fitness fan, and here's more proof: he recently competed in an Ironman marathon in Louisville, KY, and shared some photos. 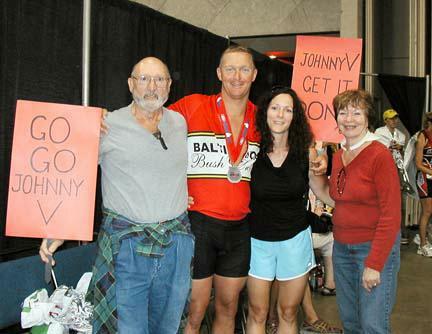 What struck me about this was that while John was doing the running and riding his bicycle, he had a team supporting him. Dana Gaither, his girl friend, was there to hold up signs, run beside him for a while, and help him celebrate at the end. Besides Dana, other friends cheered him on and served as his support team. 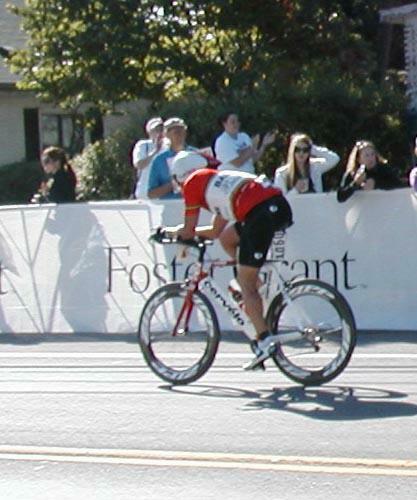 When it was over, John placed 320th out of 2,435 participants – that's in the top 15%! 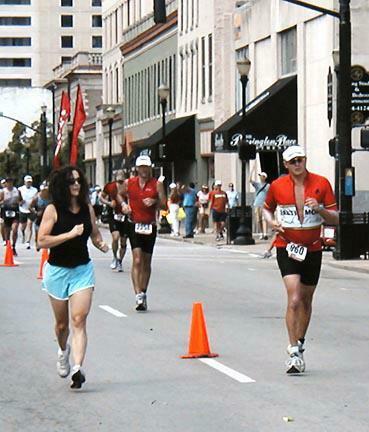 No matter how good we are at what we do, no one does it alone, not even a marathoner. We need other people to cheer us on, to run with us, and to be there when we finish no matter whether we win or lose. This holiday weekend I'm thankful for all the people who are there for me every day. To each of them and you, I say what John said to close his email: "All the best and make it a promising week."